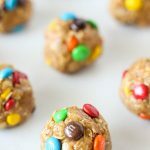 These No Bake M&M’S Energy Bites are one of my family’s favorite snacks. 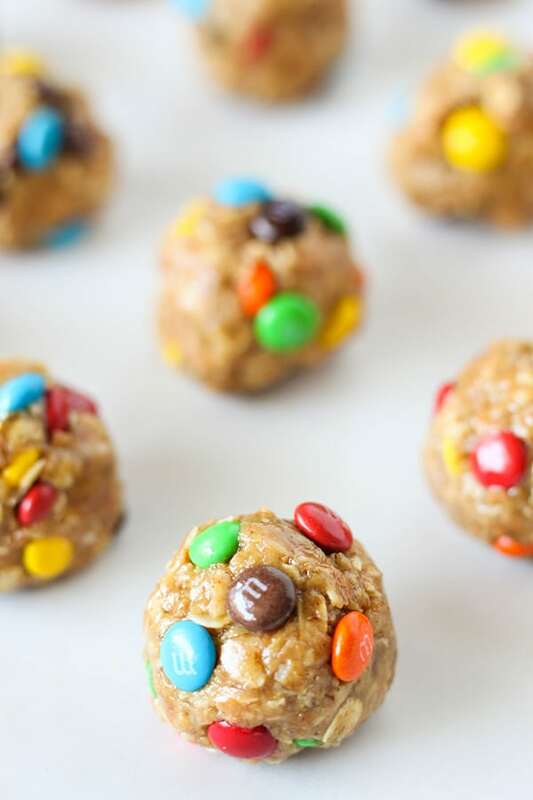 They are so easy to make and packed with wholesome and delicious ingredients. 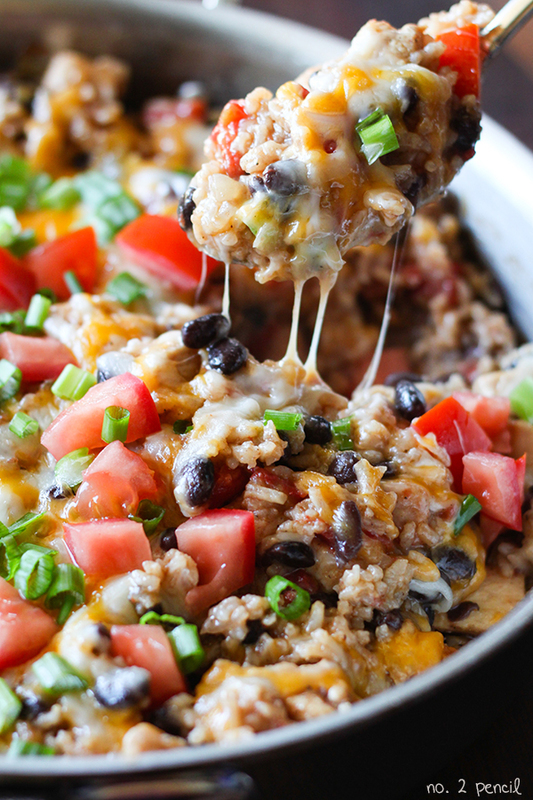 You can easily double and triple this recipe and store them in the refrigerator for up to a week. 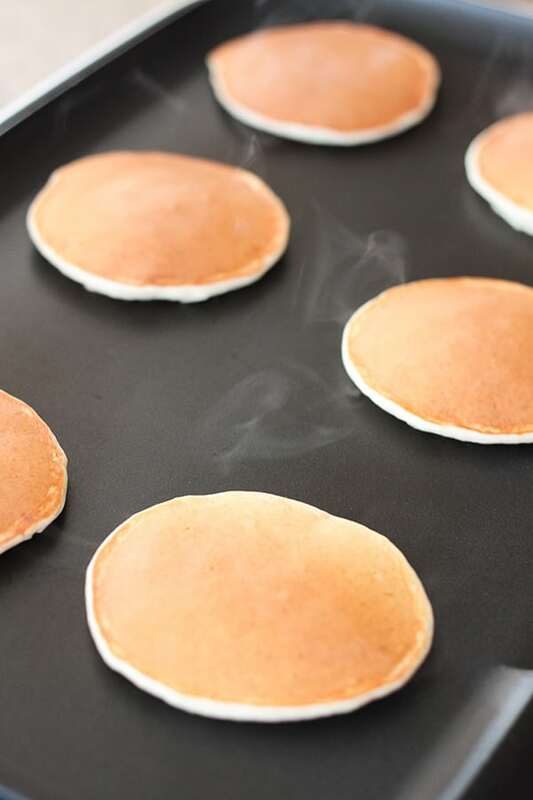 They are perfect for a grab and go breakfast, or for packing in lunches. I like to use a stand mixer with the paddle attachment to mix the ingredients, then I chill the mixture for about an hour before shaping them into balls. These can be mixed by hand as well. 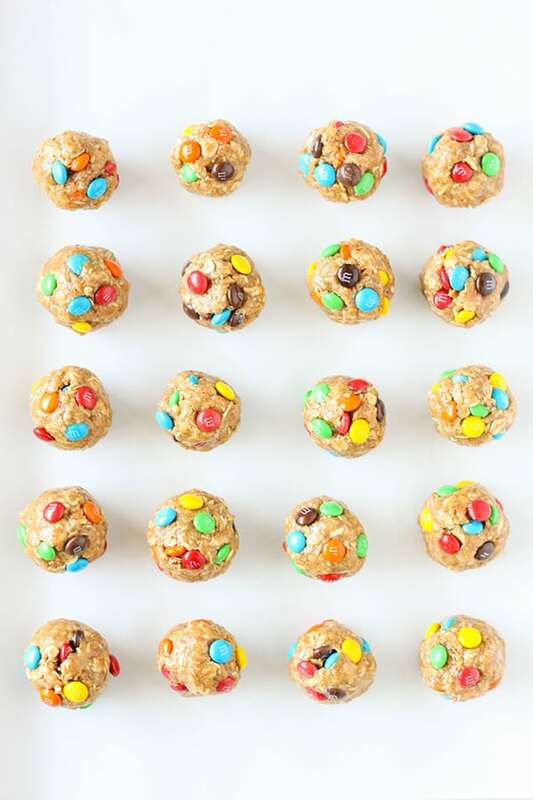 Shape chilled mixture into balls using a medium cookie scoop. 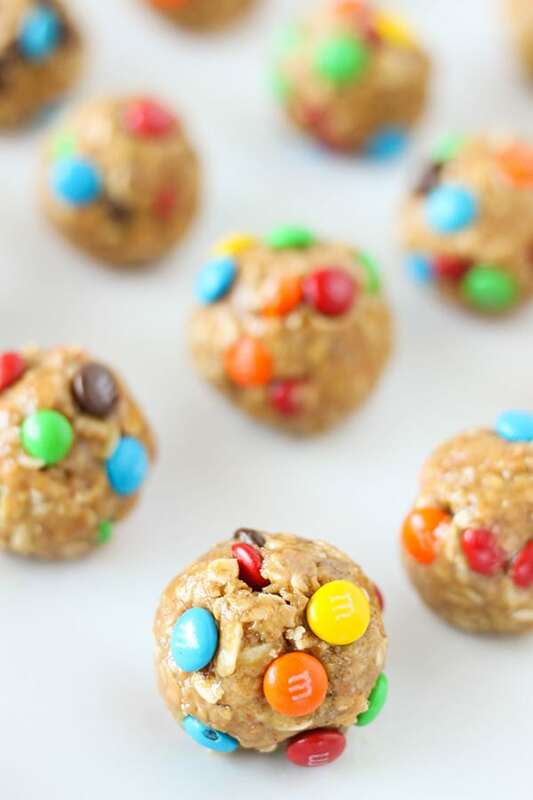 I used M&M’S Minis in this version, but I often use regular chocolate chips or mini chocolate chips depending on what I have in the pantry. 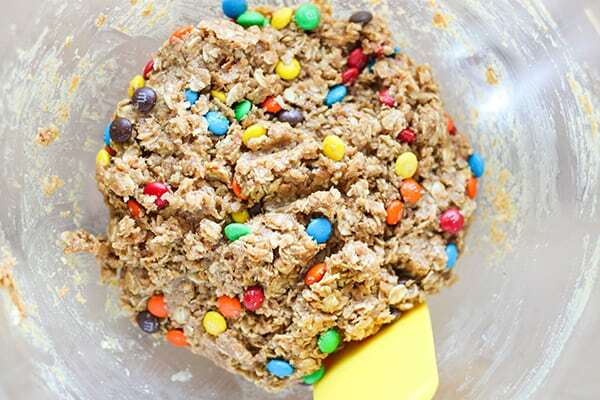 In the bowl of a stand mixer, mix all ingredients using paddle attachment until well combined. Cover mixture and refrigerate for about an hour. 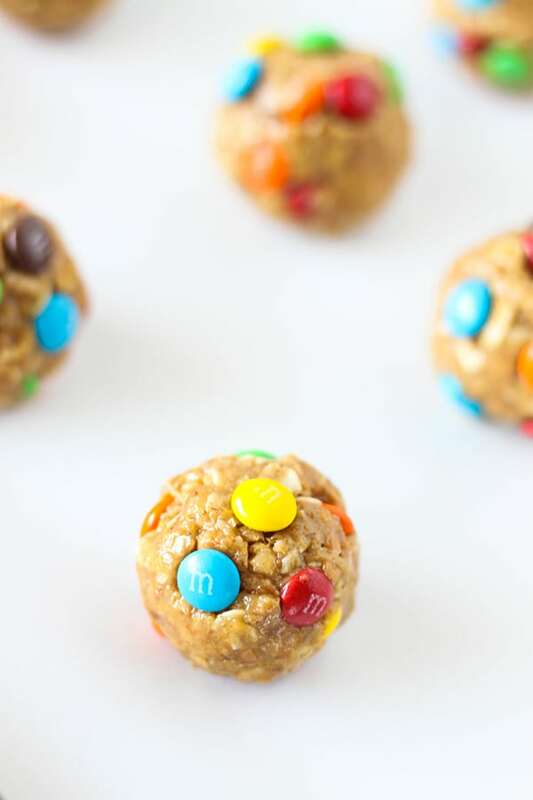 Use a medium cookie scoop or spoon to roll into 1 inch balls.